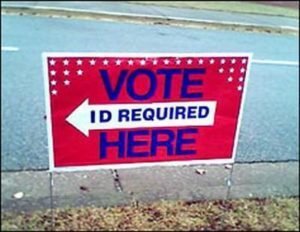 A federal court’s ruling that struck down North Carolina’s voter ID law could lead to massive voter fraud in November, GOP presidential candidate Donald Trump said. “You don’t have to have voter ID to now go in and vote and it’s a little bit scary and I’ve heard a lot of bad things,” Trump told Fox News on Aug. 2. “I mean people are going to walk in, they are going to vote 10 times maybe. “Since today’s decision by three partisan Democrats ignores legal precedent, ignores the fact that other federal courts have used North Carolina’s law as a model, and ignores the fact that a majority of other states have similar protections in place, we can only wonder if the intent is to reopen the door for voter fraud, potentially allowing fellow Democrat politicians like Hillary Clinton and (North Carolina Attorney General) Roy Cooper to steal the election. We will obviously be appealing this politically motivated decision to the Supreme Court. Civitas Institute President Col. Francis De Luca said that the ruling opens the door for local election boards to write voting policies for political gain, which he said was evident in the 2008 election. Civitas is a conservative think tank based in Raleigh. “The court, by throwing out the 2013 law, in total has now allowed local board of elections to be completely political, like they were in 2008,” De Luca said. “Because in 2008 (some local boards) were very selective with one-stop voting sites. In fact in Cumberland County they opened one that was right next to [a Barack Obama] campaign rally in 2008. That was where they used the law for completely political purposes, they didn’t have other sites open in the county, they opened it on a Sunday near an Obama rally.